Turkey’s construction sector grew by 6.4 percent in the first half of the year, going well above the total economic growth, according to a report published by Association of Construction Material Producers (İMSAD). But in line with the expansion, construction expenses also rose, to 140.2 billion Turkish Liras, hitting a long-time high, state-run Anadolu Agency has reported. Turkey’s construction sector expanded by 6.4 percent in the first half of the year, going above the overall economic growth, İMSAD said in its September 2017 Industry Report. The sector grew by six percent in the first quarter, 6.8 percent in the second quarter and 6.4 percent in the first half of 2017, employing more and more workers. 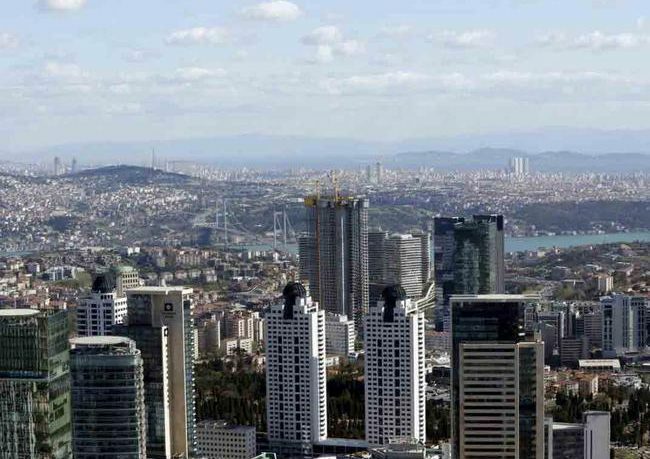 While the construction expenses cost 140.2 billion liras in the second quarter of the year, the construction sector’s costs had risen to 252.6 billion liras in the first half of the year, state-run Anadolu Agency reported. Compared to the first half of 2016’s costs, construction costs rose by 32.5 percent with the current rates. The construction sector’s employment rate reached its highest between March and September due to the season. Employment in the construction sector rose to 2.17 million people following June 2017, making it one of the highest rates by rising above May and June 2016 employment figures. The 2.17 million workers employed in June show the rate of rising construction activities, during the Islamic holy month of Ramadan and the Eid al-Fitr holiday that followed it. Residential construction plays a big role in the growth. In the first half of 2017, the number of licenses attained rose significantly, reaching a 620,182-unit figure, according to the report. The number of building permits allowed also went up to 384,322 units in the same period. Looking at these numbers, it is expected that either the constructions that will be built with the newly attained building permits will materialize gradually, or, in the case that they begin immediately, the unit stocks will expand significantly. But not all construction sectors are growing the way the residential industry is. Nonresidential investments, such as for shopping malls, office spaces and accommodation facilities, are still stagnant. Licenses obtained for nonresidential investments fell below that of the first half of 2017, with a figure of 25.7 million square meters. The stagnation in the nonresidential side of things is said to have occurred due to the decreasing demand for the sectors it functions for. The current saturated state of the retail industry limits the shopping mall sector, and the troubles Turkey faces in the tourism sector limit the accommodation facility construction sector. Also, the rise of supply in the office space construction industry has slowed down the investments. Things are similar on the industrial and storage sides. The nonresidential construction sector will remain stagnant until economic normalization comes into effect, the report forecasted. The report also criticized the Turkish Statistical Institute (TÜİK) for frequently making updates, as it makes it difficult to make healthy evaluations on the ever-changing growth data.